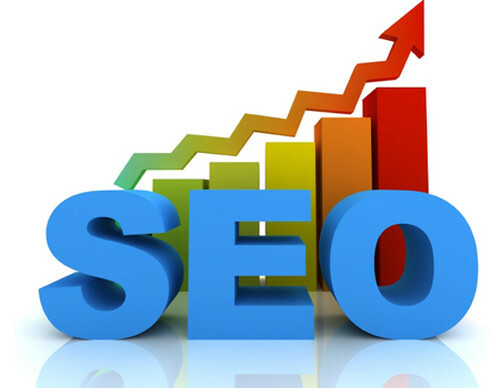 Search engine optimization (SEO) helps in improving the visibility of any website in search engines. In other words, it’s a technique that helps search engines find and rank any website higher than the millions of other sites in response to a search query thereby getting traffic from search engines. I am definitely not here to introduce you all with SEO instead to help you in making your efforts successful. SEO has been into news and people all over have been looking for tips and tricks to improve it as Google made lot many changes in the recent past that directly effected the SEOs. Be it Google, Bing or any other search engine, SEO is directly affected if changes are made in any of the search engines. The last few months have actually got challenging for the blogging world and undeniably each one of us is looking for smart SEO tips that will help our websites grow and improve as far as page rank is concerned. This post is about just that! Get ready to check out some Do’s and Don’ts of SEO in 2012. Do let us know what you think of the these by dropping the comments below. Gone are the days when keyword stuffing helped in SEO. Over the time, we have started experimenting with lesser popular keywords but this doesn’t really bring you the right traffic that you are looking for. Therefore, it is suggested not to use the words that won’t hit instead target the relevant keywords that will help your business grow. The headline of your article should be catchy and persuading enough to ask the readers to click and read on. Preferably, include keywords in your headlines so that your readers as well as search engine spiders know about the content. Focus on creating unique content for your websites. The relevance and value of the content of your website is of foremost importance. Your SEO efforts should be strongly focused on delivering the highest quality content that too consistently. Distribute your content! It is suggested to open up new channels and distribute your content as far as possible. You can develop mini-sites, social media outlets and blog platforms. This will help grow your sphere of influence thereby affecting your SEO. SEO being independent and working on its own to impress just the search engines is the thing of the past. Things have changed over the time. Now the virtual space is connected to various platforms and our initiatives need proper planning and execution. It is suggested not to make your SEO campaign isolated and try connecting your social media campaigns with your SEO plans. I certainly agree with you all that Google is the most popular search engine but you can’t underestimate its competitors that might become the great platforms for searching in days to come. YouTube, as you all know is the second largest search engine in the world. Also, don’t ignore search engines like Bing and Yahoo. Wherever possible try linking the good content and other websites that you feel has the quality content. This practice will be of great help directly or indirectly. Don’t spend a much time to optimize your meta tags and page titles. I am definitely not saying that these should be ignored just that don’t use these in excess else you can be penalized. Following certain tips and tricks and making sure you keep in mind these do’s and don’ts will ensure making your SEO efforts a great success.